ECONO-COOL offers producers an economical way to keep livestock & poultry comfortable and profitable during periods of warm weather. 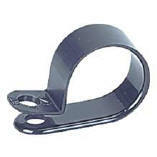 Our cooling systems are designed, manufactured, and tested in the American Hog Belt. Meterman has been designing and manufacturing cooing systems since 1971! During this time Meter-Man has become a world leader in designing and manufacturing cooling systems. Do not need an electrician to install! "Like some of our competitors!" Inexpensive to buy! Economical to own! 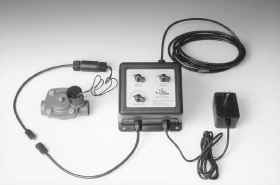 The Meterman Econo-Cool Automatic livestock and Poultry Cooling System has been designed to control the flow of water based on the time and temperature setting you choose. The Econo-Cool controller will automatically activate the solenoid valve and allow water to flow to the emitters when the air temperature is warmer than the temperature setting of the thermostat. 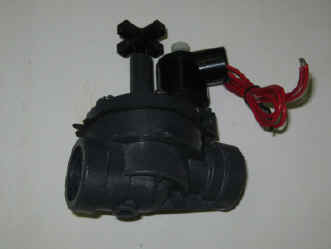 Attaches to water inlet side of solenoid. 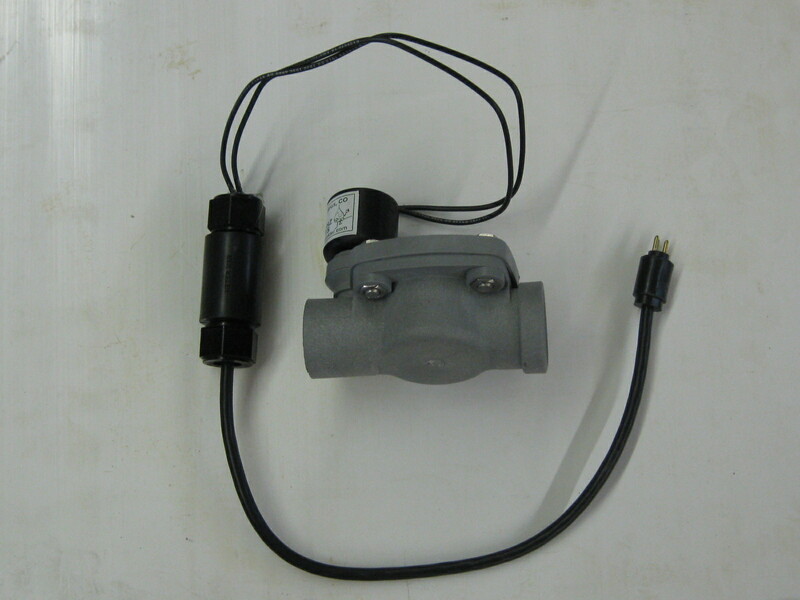 Prevents small particles from getting in and damaging solenoid. 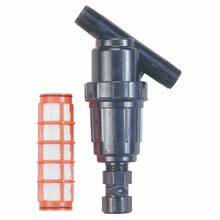 Attaches to water-outlet side of solenoid Prevents backflow of water through the solenoid. ½" Compression x ½" Compression x ½" Compression. 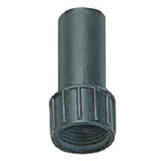 All fittings have compression joints. Used with flexible tubing. ¾" Male garden hose thread (MGHT) x ½" Compression. 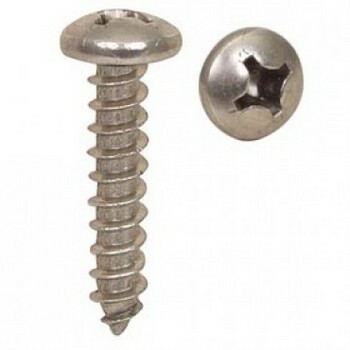 A screw on cap is included. 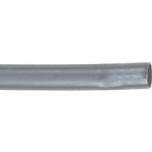 Used at the end of flexible tubing. 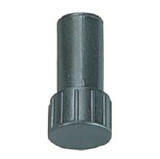 Solid Plug used to fill a hole in flexible tubing. Emits a coarse mist of water in a 6 foot (1.8 meter) circle. Emits 5 gallons (19 liters) per hour. Used finishing pigs and dairy cows. An adjustable, full circle sprinkler that will cover a 15 foot (4.5 meter) diameter circle at a height of 9 feet (2.7 meters). 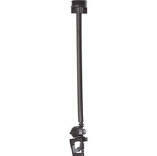 Emits approximately 12 gallons (45.5 liters) per hour. Used with finishing pigs and in poultry houses. Used for sows in farrowing crates and gestation stalls. Emits 1.2 gallon (2 liters) per hour. Flexible tubing available in 100 foot (30.5 meter) rolls. 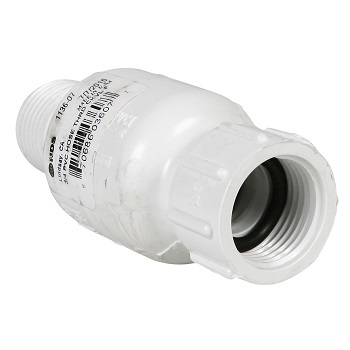 Used with drippers (METUCS04B) and to connect Sprinklers (METUCS23 to barbed check valves. Flexible thin-wall tubing in 125 foot (38 meter) rolls.